In March 2016, the government of Canada introduced Electronic Travel Authorization to make it easier for the citizens of visa-exempt countries to travel to Canada. Your form will be approved within minutes and will be ready to travel to your destination. More importantly, you can finish the application process online. Electronic Travel Authorization (eTA) visa will be linked to your passport. When it comes to the validity, you can use it for five years or until the expiry date of your passport, which one comes first. With eTA, you can travel to Canada whenever you want and can stay up to six months during the validity period. Your form will be sent to the Canada Department of Immigration electronically and you will get the approval at the minimum 15 minutes. Get the form online on the website etacanadaonline.com and fill it with all the relevant information. Your online form cannot be saved. Therefore, it is important to have all the information ready to avoid any confusion. You will need your passport, a valid email address, and your credit or debit card to fill your eTA application form online. You will have to enter some essential information about your nationality, date of birth, passport number in the form. Also, it will require your country name, the city of birth, issued and expiry date of your passport, your forenames, and surnames. You will need to fill some other personal information including your marital status, employment information, employer’s name, and position. You should go through all the details to fill the form completely. Fill with all the accurate information to avoid any unexpected delay. After filling your personal information, you should give contact and travel information including the departure time of the flight. After filling the form, you need to pay 39 EUR for your eTA. You will get an email once the payment is made. In rare incidents, they might ask you to submit some documents. It does not happen to everyone. If it happens to you, you will get an email within seventy-two hours. Otherwise, it will be approved within minutes. As stated earlier, the approval will not take long when the form is filled with all the correct information. After completing the form, the next step is to check your email to know about the approval. In fact, you can book your air tickets for the same day. Yes, there might be some exception. They might ask for some documents and it will take 72 hours as mentioned earlier. 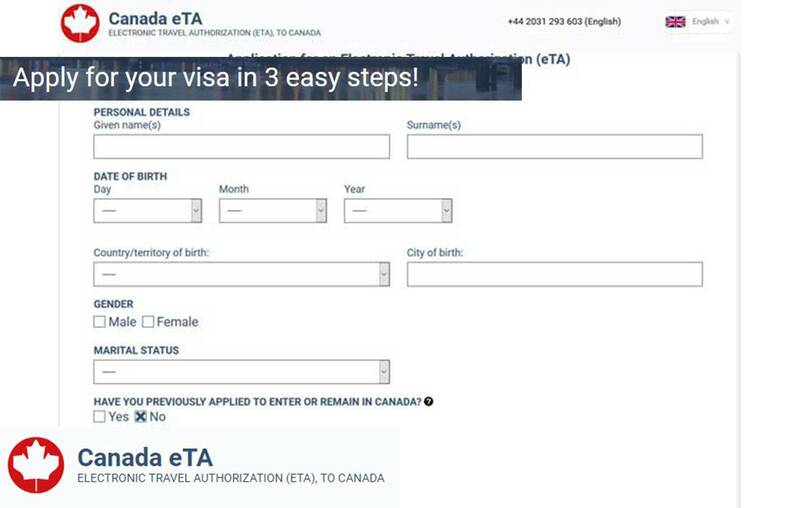 By following these simple steps, you can get your Canada eTA visa. Do you want more information about Canada eTA visa or make the process much easier with a sample of Canadian visa application form? If yes, then you can simply do that online. There is absolutely no need go anywhere. You can apply for an eTA visa and get the approval without any complication.